I have some exciting news! I have made it into the wonderful world of online sales through Etsy! After some gentle persuasion from some friends, the suggested that i get online and start to share some of my treasures for sale. It sounds like a grand idea to me. So here’s hoping that it takes off. 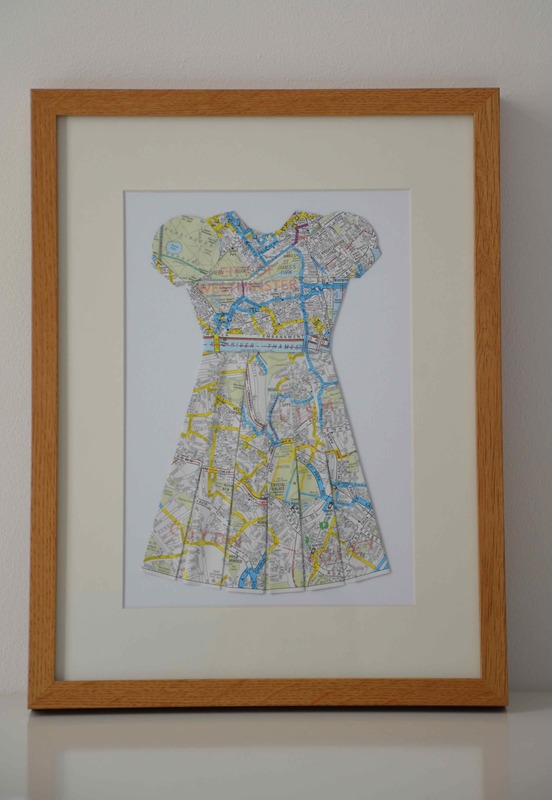 It’s a painstakingly handcrafted dress i’ve made out of a London map. It’s something that i came up with before Annabel was born and i was busily nesting and trying to make the house resemble some form of a kiddy environment. I think it looks cute anyway.. Please let me know your thoughts, it would be greatly appreciated. This entry was posted in Ramblings and tagged craft, dress, etsy, map, sale by whysamiam. Bookmark the permalink. Wow…I really like this! Good luck on Etsy!!! I’ll go check it out now. The dress looks lovely! Good luck with Etsy!